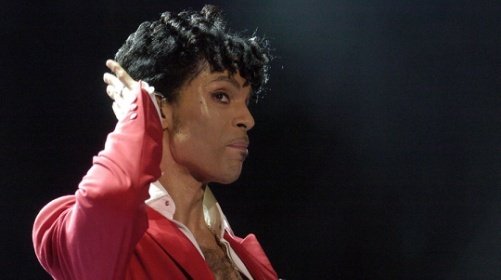 Prince might have had a love/hate relationship with the Internet and technology because of their role in making it easier to pirate artists’ music, but he understood the importance of tech literacy for closing the economic and opportunity gap. Today the world lost that musical genius and icon and few knew that he was also a quiet advocate for helping underrepresentated groups learn to code. During an interview on CNN with commentator and Democratic strategist Van Jones who also happens to be a long time friend of Prince, Jones shared that Prince Rogers Nelson was the funding force behind, Yes We Code, an initiative whose goal is to teach 100,000 low-income kids to write code. The entire idea for the coding nonprofit project came during a candid talk with Prince following the death of Trayvon Martin and the symbolism of a grey hoodie and how it differed when worn by different people. “Every time you see a black kid wearing a hoodie, you say: There’s a thug. If you see a white kid wearing hoodie, you say: There’s Mark Zuckerberg,” Jones told USA TODAY last year. Prince did more than fund the project. He also helped promote it. Jones said Prince agreed to headline the Essence Festival in New Orleans in 2014 but only if it also hosted YesWeCode‘s first hackathon with Qeyno Labs, an Oakland, Calif. host of coding competitions for youth from underrepresented groups. Our mission to usher in the next generation of developers, designers and innovators is embodied by everything Prince brought to the world. We are saddened by the news, but we are also empowered to carry his spirit of innovation forward. Thank you for believing in us and we will return the favor by teaching all our teen hackers to believe in themselves. Thank you Prince.